Located in the green heart of Orti di Mare and a stone’s throw away from Lacona beach, the apartments are modern and come with all the amenities: a fully equipped kitchen, with dishwasher and induction hob; wi-fi; TV; hairdryer; winter heating. Communal washing machine. 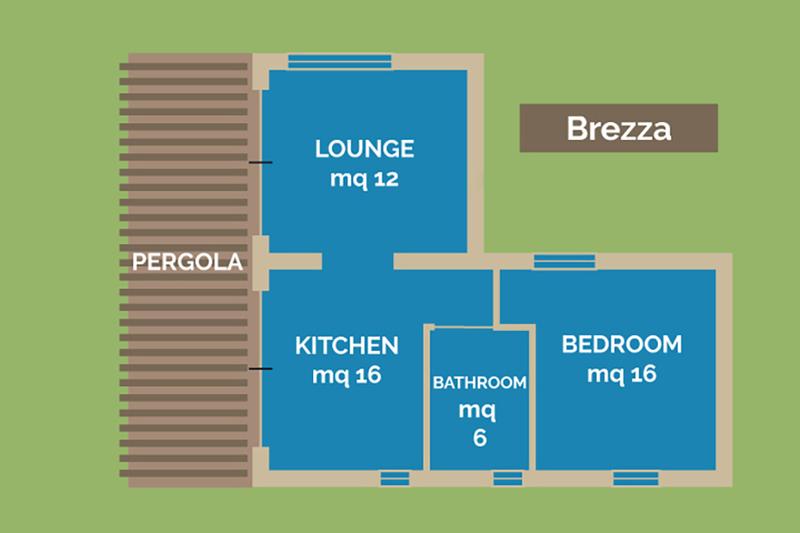 Brezza is an apartment suitable for 4/5 people. Made by coarse local stone, it is comfortable and ecologically sustainable, thanks to photovoltaic panels and thermodynamic plant for water heating. This apartment consists of a double bedroom and a bright living room that, by closing the moving wall that separates it from the kitchen, can be turned into an independent double bedroom. A fifth openable bed is at the disposal of the guests. Just outside the kitchen there is a large garden-veranda with a table, some seats, deckchairs and a barbecue. Libeccio is a well organised and comfortable apartment that sleeps 4; it consists of a cosy and quiet double bedroom, a kitchen, a bathroom and a bright lounge with a double sofa bed which can also be turned into two single beds. 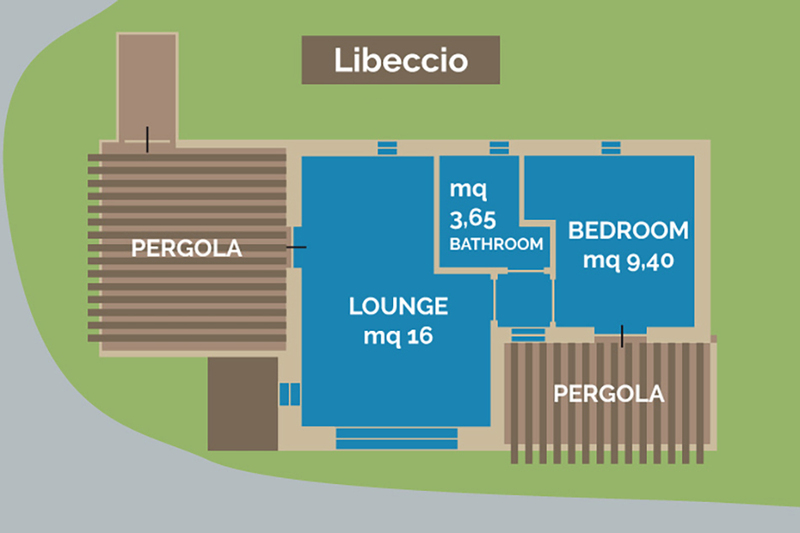 Furnished in soothing beige and blue, Libeccio is just a few steps away from our Aleatico vineyard. From the cool veranda and from the little terrasse the guests can enjoy a wonderful view of the surrounding farmland, some woodland and the turquoise sea. An opportunity to experience camping without giving up comfort, our glamping tents have a kitchen and a bathroom and are equipped with all one might need. Surrounded by olive trees, this glamping tent is about 30 square metres and divided into 3 areas. One space has a double bed, a second one has a bunk bed and a single one; the living space offers a French sofa bed and overlooks a wide shaded veranda (about 20 square metres) with a table and some seats. Immersed in our olive grove, the inside of this mongolian tent is a single space furnished with wooden furniture. It sleeps up to 4 people. There is a double sofa bed, an armchair that turns into a single bed and an openable bed. Outside the tent there is a completely furnished kitchen. There is no private bathroom, but the campsite toilet facilities are just a few metres away. The Yurt is surrounded by a garden with a table and some seats under a pergola. In order to calculate the cost of apartments, glamping tents and yurt, please add the price per person per day to the relevant supplement. The cost of reservation is € 10 , to be paid on departure together with the due amount. 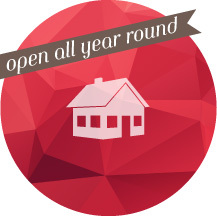 From 1st June to 15th September glamping tents & yurt and apartments can be booked only weekly: respectively from Monday to Monday and from Sunday to Sunday. From 16th September to 31st May we accept reservations for at least 2 nights. For stays shorter than 1 week an additional cost one-off is due: of € 60 for apartments and of € 40 for glamping tents & yurt. Environment-friendly guests (without car or motorcycle) get 10% discount. Pets are not allowed in the apartments and in the glamping tents. Upon arrival, it’s necessary to show a printout of the booking confirmation e-mail. Attention: No payment in advance is required but, in case of booking, any cancelation, missed arrival or early departure will require the payment of 50% of the booked period. Check-in: the apartments, the glamping tents and the yurt are available from 5.00 p.m.
Check-out: payment should be done the day before departure. The the apartments, the glamping tents and the yurt must be cleared within 9.30 a.m. ATTENTION, PLEASE! From June 1st to September 15th glamping tents, yurt and apartments can be booked only weekly: respectively from Monday to Monday and from Sunday to Sunday..
Privacy Notice: The user acknowledges the rights attributed by art. 3 of Law no. 675/96 on the processing of personal data and authorizes the receiver to process the relative data sent by means of this electronic form solely for the purposes indicated.